Dual Ring. 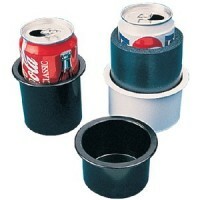 Holds coffee mugs with a handle, 12-ounce cans, or drink insulators. Mounts quickly and e.. 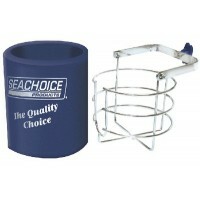 Formed, chrome-plated steel wire drink holders are ideal for boats, cars, and RVs. 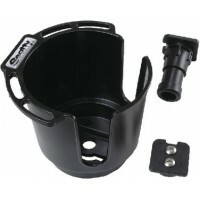 Gimbaled surface-..
Self-leveling drink holders with slot for coffee cup handle. For boats, cars, and RVs. Molded plasti..
HH6: Safety-soft flexible PVC prevents injuries. Designed to hold beverage cans, bottles, air horns,.. Install almost anywhere. There are molded in stand-offs on the bottom of holders to help prevent con.. 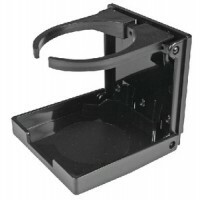 Drink holder w/drain black Hole: 3-3/4"Size: 3-9/16" ID x 3-1/4" DColor: Black.. Drink holder w/drain gray Hole: 3-3/4"Size: 3-9/16" ID x 3-1/4" DColor: Gray.. 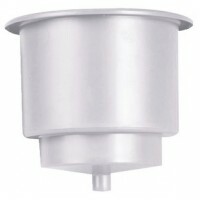 Drink holder w/drain white Hole: 3-3/4"Size: 3-9/16" ID x 3-1/4" DColor: White..
For cans, coffee mugs and insulated sleeves. Convenient accessory rack to hang lures and tools. Easi..
Injection molded ABS. 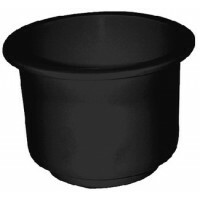 Hole: 3"Size: 2-7/8" ID x 2" DColor: Black..
Injection molded ABS. Folds to a closed depth of 15/16". Size: 3-3/4" H x 3-7/8" W x 3-7/16" DColor:..
Injection molded ABS. 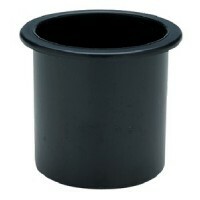 Hole: 3"Size: 2-7/8" ID x 3" DColor: Black..
Injection molded ABS. 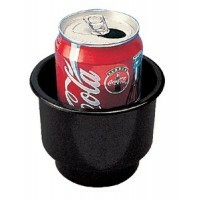 Dual purpose design allows use of beverage cans with or without insulated can ..
Injection molded ABS. 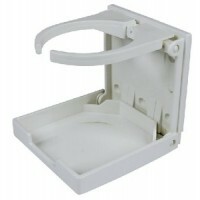 Hole: 3"Size: 2-7/8" ID x 3" DColor: White..
Injection molded nylon. 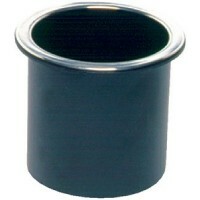 Adjusts for containers with a 2-3/8" to 3-7/8" diameter. #6 FH fasteners. Fo..
Soft PVC. 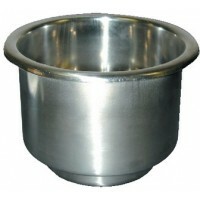 A: 2-3/4"B: 3-1/2"Color: WhiteC: 4-5/8"..
316 Cast StainlessLeg design allows mugs to sit flat on mounting surface. 1/4" fasteners required. A..
304 Stamped Stainless Steel. 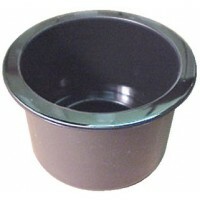 Adjusts for containers with a 2-3/8" to 3-7/8" diameter. #8 RH fastener..
Made of fiberglass reinforced nylon with stainless steel springs and nickel plated brass rivets. Adj..
Super Suction Cups. Non-corrosive. Mounts either vertically or on any flat surface. Can be permanent..
79430, 79490: 3/8" hose fitting.Drain hole on bottom. 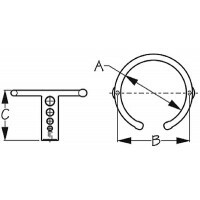 Hole: 4-1/4"Size: 4-5/16" OD x 4-1/4" DColor: ..
79430, 79490: 3/8" hose fitting.Drain hole on bottom. 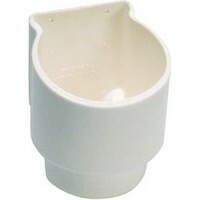 Hole: 3"Size: 3-5/16" OD x 3" DColor: Black..
79430, 79490: 3/8" hose fitting.Drain hole on bottom. 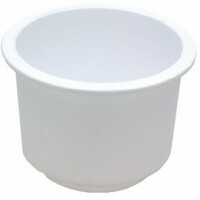 Hole: 3"Size: 3-5/16" OD x 3" DColor: White..
Large Super Suction cups. Non-corrosive. Mounts on any smooth surface. 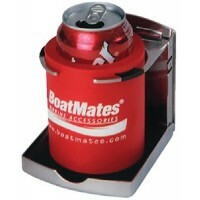 Can be permanently attached w..
Beverage holder with foam thermal insulator and two mounting brackets. 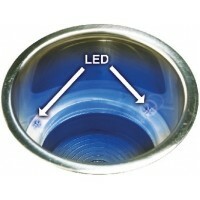 Swings freely to prevent spil..
Ss blue led drink hold w/drain Hole: 3-5/8"Size: 4-1/4" OD x 3-7/8" DColor: Stainless Steelw/Blue Li..
Ss red led drink hold w/drain Hole: 3-5/8"Size: 4-1/4" OD x 3-7/8" DColor: Stainless Steelw/Red Ligh..
Ss recessed drink holder w/drn Hole: 3-5/8"Size: 4-1/4" OD x 3-7/8" DColor: Stainless Steel..
Includes 3/8" drain. 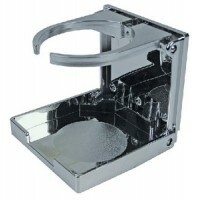 Hole: 3-3/4"Size: 4-3/8" OD x 3-3/4" DColor: Stainless Steel..
1 drink holderpoly Size: 4-5/8" x 3" x 4-5/8"Color: WhiteDescription: 1 Drink holder..
2 drink holder w/ catchall pol Size: 16-3/8" x 3-1/8" x 5-1/2"Color: WhiteDescription: 2 Drink holde..
2 drink holder poly suction cu Size: 10" x 3-5/8" x 4-7/8"Color: WhiteDescription: 2 Drink holder w/.. The Tournament Series folding drink holder is fabricated from 304 polished stainless steel for years..
Made from super-tough poly material which resists sunlight, breakage and chemicals. 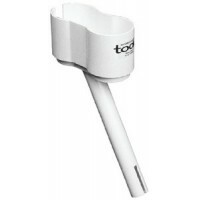 The holder is UV..
Portable caddy for drinks and poles. 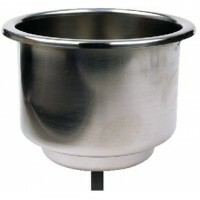 RoboCup® is a brand new patented portable caddy that securely h..
Top quality stainless steel. Fits most existing cup holes. Neoprene gasket and cup base. Drain fits .. Accepts cans, mugs, and huggies. Fits in standard 30° rod holders. Holds two beverages. Size: 7" W x..